HISPEC assay diluent works to reduce cross reactivity, non-specific binding and matrix effects in immunoassays such as ELISA, EIA, Western blotting, immuno-PCR, protein arrays, multianalyte immunoassays and immunohistochemistry. The effect of HISPEC assay diluent is dependent on assay system and the antibodies used. HISPEC assay diluent is used instead of a sample buffer or antibody dilution buffer within the immunoassay protocol. HISPEC assay diluent is unsuitable for blocking of surfaces. For blocking of surfaces we recommend one of the blocking solutions within the Bio-Rad range – see “Useful reagents” below. This product should be stored undiluted. Avoid repeated freezing and thawing. Guaranteed until date of expiry. Please see product label. Proclin™ 300 is a trademark of The Dow Chemical Company (“Dow”) or an affiliated company of Dow. The buffer should be mixed thoroughly immediately before use. The standards and samples for ELISA and protein arrays can be diluted with HISPEC assay diluent at 1:2 or higher. Standards and samples should be treated identically.  Antibodies can be diluted with HISPEC assay diluent in a user-defined manner, depending on the recommendation of the antibody supplier. In some cases a reduction in assay signal intensity may be observed when using HISPEC assay diluent. This does not result in a reduction in assay sensitivity due to the accompanying reduction in non-specific binding. Signal intensity may be increased in some assay systems by use of higher concentrations of antibodies, or by dilution of the HISPEC assay diluent in distilled water (1:2) prior to use. However, these adjustments may also result in some associated increase in non-specific binding. Eriksson, O. et al. (2017) Pancreatic imaging using an antibody fragment targeting the zinc transporter type 8: a direct comparison with radio-iodinated Exendin-4. Acta Diabetol. Oct 24 [Epub ahead of print].